We are committed to setting the highest standards of customer care. As part of this goal we conduct extensive research and third party testing to ensure that the products we offer meet their label claims, and are safe and effective for use. 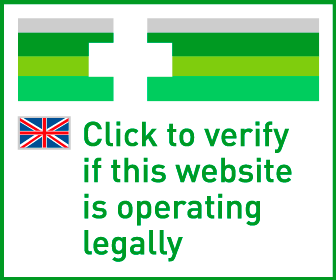 Furthermore, we only work with suppliers who can provide us credentials underlining their commitment to the highest standards of quality care and hygiene. At a minimum they need to produce their products in a GMP certified facility and able to present documentation showing they have passed the standards required by their food regulator. Predator Nutrition will only work with trusted suppliers and takes these steps to ensure the products you receive from us are of the highest quality and produced exactly the way they should be in a facility registered for this purpose. As part of our social commitments, Predator Nutrition works hard every year with charities such as Kick4Life and Tackle Africa to help provide medical and support services for underprivileged children. We also work hard within our local community to sponsor and donate money to charitable foundations, as well as regularly hosting events where Predator Nutrition staff donate their time and money to support charities. 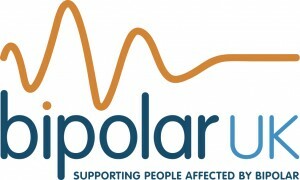 Predator Nutrition is supporting Bipolar UK, a national charity which provides support services for people with bipolar disorder. We will be initiating a number of charitable events and fundraising programs to help ensure that we deliver vital funds to the charity to assist them in combating a mental illness which can have a devastating effect on the lives of sufferers and their families. With patrons and friends of Bipolar UK including Stephen Fry and Bill Oddie, Predator Nutrition is pleased to be able to support such a worthy cause this year. We worked with Kick4life in 2010, where we hosted an event in their name. Kick4life uses football and sport to transform the lives of some of the most disadvantaged young people in the world. They focus on fighting HIV using sports-based health education, voluntary testing, life-skills development and support into educations and employment. It’s an amazing charity and we were delighted to work with them. In 2011 we worked with TackleAfrica, once again hosting a fundraising event in their name. TackleAfrica works in sub-Saharan Africa, the part of the world most affected by HIV and AIDS where young people are one of the groups most at risk of infection. Through football they deliver HIV education to young people, giving them the guidance they desperately need in order to live healthy lives. We will continue to work with TackleAfrica in 2012 and beyond. We are currently fundraising for Radio Aires ‘Cash for Kids’, running regular raffles via our social network platforms. Cash for Kids are dedicated to helping sick, disabled and underprivileged children in West Yorkshire. The charity helps individuals as well as children’s charities and charitable projects. We continue to run regular competitions and raffles with all funds raised going to Cash for Kids. At Predator Nutrition we see it as our duty to give something back to the local community, and to less privileged communities around the world.